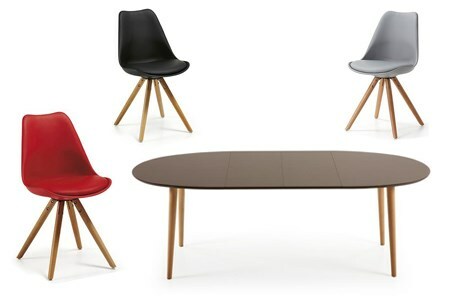 We present You table Oakland and Lars charis in modern design that can fit nicely in any dining room. Table Oakland can be ordered in 120, 140 or 160 cm in lenght and with extenension even up to 260 cm, which makes it suitable even for 10 or 12 persons. Lars chairs are extremely comfortable and they form in nicely in any interior. Seating and back rest are made of polipropilene in white, black, red, light grey, blue and yellow. There are models of chair with metal legs, or seat in fabric or synthetic leather. BED JANA IN "SNAKE" FABRIC - AVAILABLE IMMEDIATELY FOR DELIVERY! 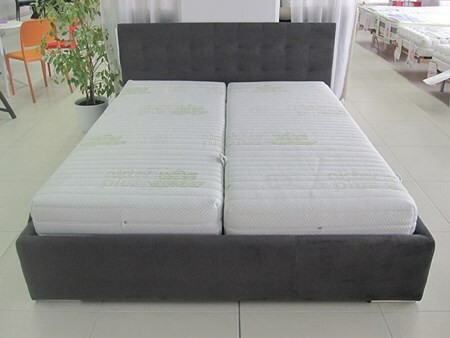 Jana is a bed in synthetic leather or fabric, with gas lift bed slat and under bed storage which allows You to use Your bedroom space completely. It can be ordered in various dimensions (from 200x90 up to 220x180). For fast delivery we offer bed Jana in dark grey and cream brown fabric "Snake" (snake like pattern) in queen (200x160) and king size (200x180). Other dimensions and colours have to be ordered with 30 to 45 days for delivery.